I’m sure you hear a lot of people in corporate talk about design thinking, user-centric design, innovate like a startup in order to move faster and challenge the status quo. You attend conferences, visit startups and read books. This is all great but at the end of the day, how do you execute like a startup within a big company? Sure, you probably have a ton of ideas, but how do you get started? Here are a few thought starters on getting started to think and ask questions like a startup in a company. The main question you should ask yourself is, what is the consumer problem that you’re trying to solve here? Then ask yourself, are consumers willing to pay to have this problem go away? How much and how often are they willing to pay? It’s rare for a startup founder to hit the ball out of the park on their first try. They learn, pivot and adapt. Similarly, get started somewhere then constantly do user research, test, re-build and then optimize. Continue to test lots of ideas before you find one that you’re passionate about and have legs to take to the next level. Every change that you do at the start of any new business should aim for step-change in conversion or retention. You shouldn’t tell yourself that this is a pure learning experience and if it doesn’t work out, “I’ll just go back to my job and continue to move up in the company because they’ll see this as innovation and risk-taking”. Whilst it is a great learning experience, never fall back on your laurels, make sure you set yourself stretch quarterly goals and measure them. Google’s OKR model is one way to do this. Treat your executive sponsors like your investors. Your executive sponsors are essentially your investors. Prepare a thoughtful pitch deck and treat it like investor fundraising sessions. Show a long-term vision on what’s possible but also set clear realistic short term results. Be brutal in defining value creation, whether it’s pure financial returns or strategic returns. Don’t be afraid to admit to yourself and your sponsors when a business is not working because transparency builds trust. Provide your sponsors with proactive monthly updates and more importantly, ask for help, their network should support you in your ventures. Make sure you establish ground rules with your executive sponsors. This means giving you and your team space to build a business. Don’t expect profitable returns in 12 months, that’s unrealistic for any startup. Don’t parade the team like an innovation engine within the company and spend time doing PowerPoint presentations. That’s not a good use of the team’s time especially if they’re trying to keep lean and move fast. Finally, make sure you find ways to get the company to incentivize the team properly. The team joined because they’re passionate and will stay because they’ll be treated fairly for the amount of work they’re doing. It’s important that the sponsors understand what you’re trying to build. Why should they invest in you vs. investing in external companies? Prove that you, your team and your product are worth it. If you’re going to execute like a startup, you have to try to mimic the constraints at a startup as much as possible in order to move fast, take risks and adapt quickly. Instead of using digital agencies to do everything for you for millions of dollars, you can build a website on Shopify without engineers, find stock photos instead of doing a photoshoot, get a logo designed through Fiverr for $200. Better yet, if you know friends, colleagues who can help you here and there, borrow their skills. Find freelance workers and appeal to their passion to build and inspire them to work with you. Your goal here is to test the product in market and find consumers who are willing to pay. It is not to design a beautiful website at an exorbitant amount of cost. Your investors (executive sponsors) want you to be resourceful because then they know you can spend their money wisely. Google, Google, Google – the tools, strategies and tactics that you’re using, many people have also used it before. Go on forums, check out Hacker News, Quora or Product Hunt to continue to find the most productive and yet efficient ways of doing things. Be creative too, make sure to leverage your companies’ competitive advantage, don’t just copy other companies, brainstorming with the team and understanding the real consumer problems is the key. The startup life can be rough, and your organization is already making it easier for you to take risks. Make sure you find the people that has the same attitude as you. Find people that are willing to hustle, learn and grow together, even when times are difficult. Be honest and transparent with each other. You’re in this together. It’s just as important to find someone who has the right skill set as they are willing to put in the hard hours, think day and night about how to make the business work and yet stay optimistic about it even when it’s not going so well. This doesn’t necessarily mean not having a work / life balance (albeit, there might be situations like product launches when this is inevitable) and more around having your team focused in figuring out how to make the company work, no matter what. A simple question to ask could be, “what is your vision for this company?” This will already show how much the person has thought about the industry, the opportunity and the impact this company could have. You should avoid having people join your team because it sounds fun before they move to the next career level and not necessarily in it for the long haul. You don’t need the team to be there forever but like any successful startups, you’re looking at building a business that you need to hustle for at least a few years. 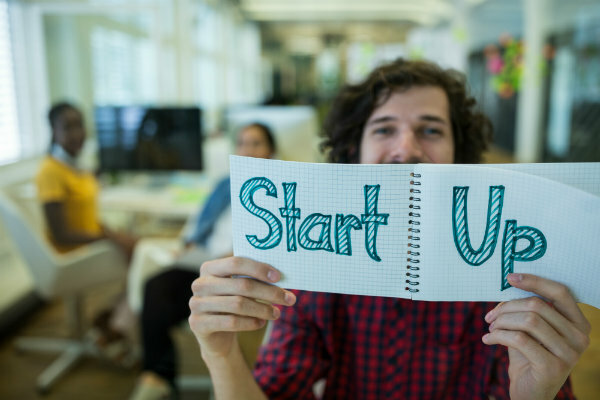 Working at a startup is a great experience, it will never be quite the same experience doing it at a large company, but your mindset can be the same. Build something you’re truly passionate about, hustle and be resourceful even when things are tough, work with people that is driven by the same purpose and most importantly, enjoy the ride. 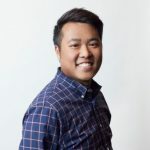 Winson Wong is the Head of Business Development for Connected Solutions, a division of Mars Petcare, the world’s leading pet nutrition and healthcare business. He is focused on investments, partnerships and incubation of startups across various sectors within the pet care industry. Since joining Mars in late 2017, he co-founded Leap Venture Studio and launched direct-to-consumer brands in pet nutrition and veterinary health.